Navin leads Drewry’s bulk shipping research team which covers dry bulk, tankers, LPG, LNG, Offshore and multipurpose shipping sectors. He also leads the vessel valuation practice. Navin is the director of Drewry Maritime Research and manages the core team of Drewry’s bulk shipping research. He started working with Drewry in 2003 as a gas shipping analyst and over the years has gained extensive experience in various domains of maritime research and consulting. 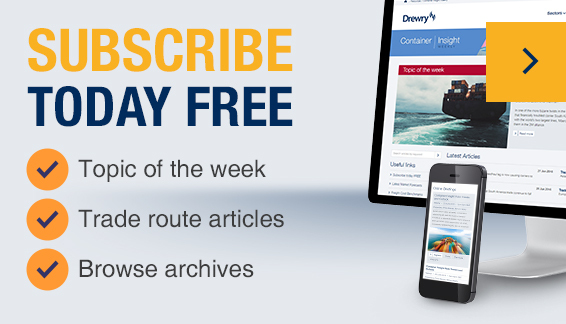 Navin has been instrumental in establishing offshore shipping practice at Drewry. Besides managing Drewry’s bulk shipping research, he is an expert in asset valuation, residual value forecast, forecast asset values, and formulates depreciation strategy of assets for clients. He takes deep interest in cost modelling for shipping, thanks to his natural affinity for number crunching. Navin works on a variety of projects and is actively involved in advising clients on the issues related to port development, port expansion, port traffic estimation, tariff benchmarking, ICD and CFS traffic forecast, market due diligence, commercial due diligence of assets, due diligence of port operations and freight rate benchmarking. At Drewry, he has pioneered the use of technology for efficient management and delivery of research and consultancy reports.